One thing to love about documentaries is all the little-known worlds they unveil. But just their trailers alone does this in a way. For example, I recently discovered the Canadian documentary “Skull World” by way of its latest (third) trailer. And through that trailer I got my first ever look and information about the underground phenomenon known as Boxwars. Simply put, it involves a whole ton of people going at it “Braveheart” style while wearing elaborate cardboard costumes. Kind of a less-sissy version of the usual Ren-fair medieval battle reenactment thing, as this “extreme sport” seems a bit dangerous. “Skull World” focuses on a Boxwars chapter up north created and led by Skull Man, a metal-obsessed gravedigger who wears a skull mask as part of his celebrated look (at times he reminded me of “Hesher”). I don’t know if this movie will be great, but I bet it’s big with Gwar fans. Outside its niche demographic, though, there could be a cult audience waiting out there if it’s humorous and wild enough. 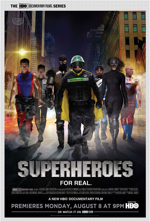 It reminds me a bit of the new real-life superhero doc “Superheroes,” except these costumed warriors aren’t trying to fight crime. And I’m always up for learning more details on strange subcultures. 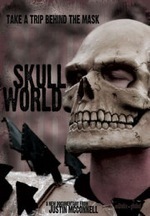 Hopefully “Skull World,” which was at the Cannes film market earlier this month, will hit at least DVD soon. 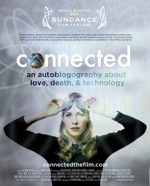 Check out the third trailer for the doc after the jump.